Prepare the dressing by combining all ingredients and blending them together. If you have a food processor or blender, use it. If you don’t, try grating the ginger so it’s extra fine then whisk dressing together thoroughly. 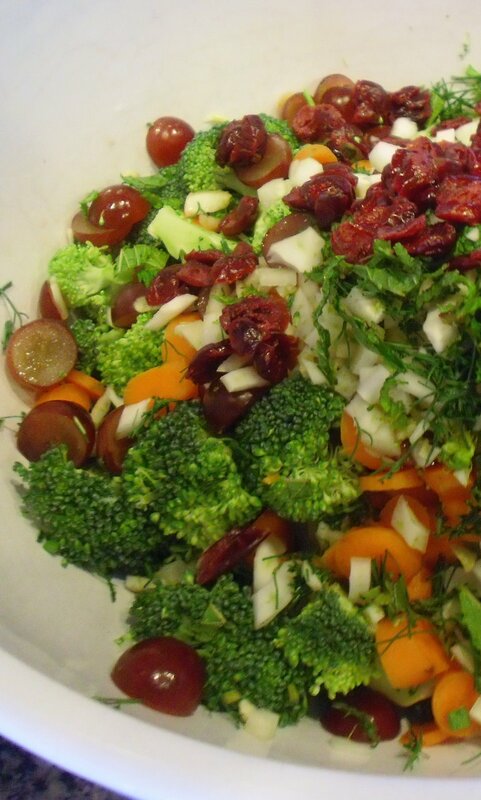 Toss dressing into the salad and refrigerate at least 2 hours or as long as overnight. Toss in chopped almonds just before serving so they’re good and crunchy! I’ll be back soon. I’m waiting for the brain fog from greatly reduced sugar intake to clear.